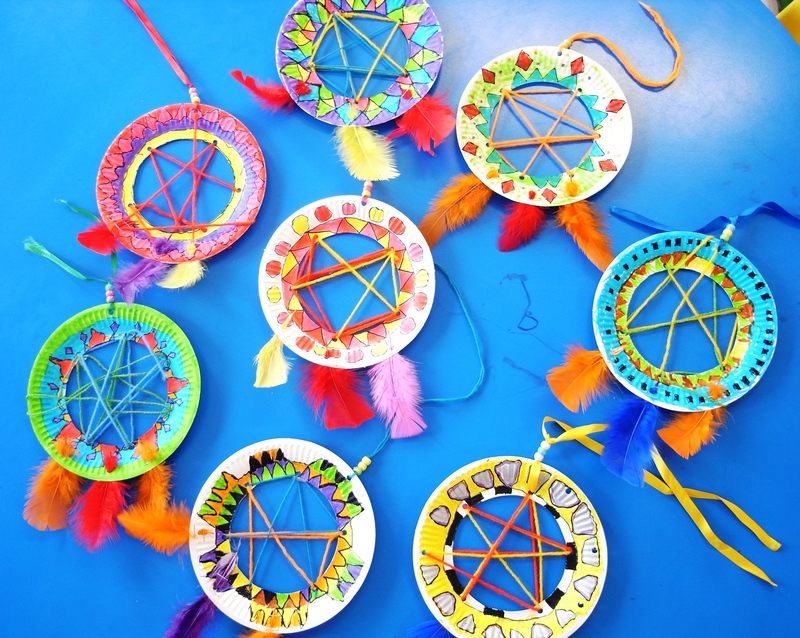 These Native American dream catchers are really popular with kids. You will need to prepare by cutting out the centre of paper plates with a craft knife. Then use a hole punch to create holes around the middle (the trickiest bit!). Also, put three holes at the bottom and one at the top to hang. After showing the children examples of Native American designs and spending some time discussing patterns and colours, ask the children to decorate their plates with felt tips. They can then weave in and out of the inner holes using wool, thread or ribbon. Stick feathers through the holes at the bottom and secure them with staples. Finally, make a tie at the top using wool or ribbon and beads.